Mezzanine module that combines the i.MX 6ULL with 256MB DDR3 and 256MB NAND Flash. SODIMM sized modules with peak frequency up to 800MHz and 256MB to 512MB RAM. Key benefits include optional dual-band 802.11ac Wi-Fi and Bluetooth 4.2, integrated security features, and much more. 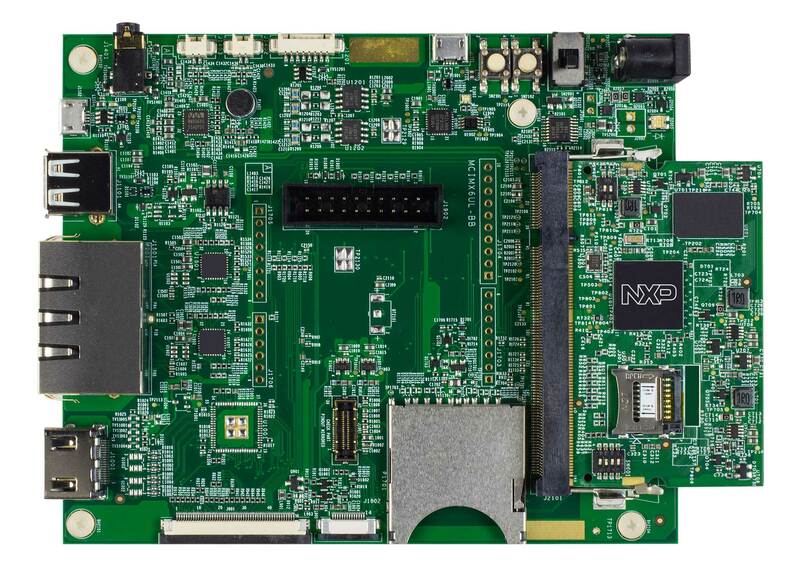 i.MX6ULL SOM features an advanced implementation of ultra-efficient ARM® Cortex®-A7, SO-DIMM 200 edge finger form factor, On-board PMIC, DDR3 and NAND memory, I/O Support, and in-built dual Ethernet PHY for cost & power optimized IoT applications.